An R&T writer went to Miatas at MRLS and tracked 19 of the participants cars, then wrote it all up. One of the cars was T's bewinged ride. He liked it a lot. Scroll down to car #2. "What did it feel like? That engine! There's so much to be said for the old-school way of making speed: It sounds killer, for one. Snarly and clean. It's also cammy and weird; you have to rev the thing, like a stock Miata, but power delivery is gloriously light-switch. It's still a momentum car—still more grip than motor—and if you stay off the curbs, the front tires slide before the rears. Just gobs of throttle and short gearing. Hell of a device. 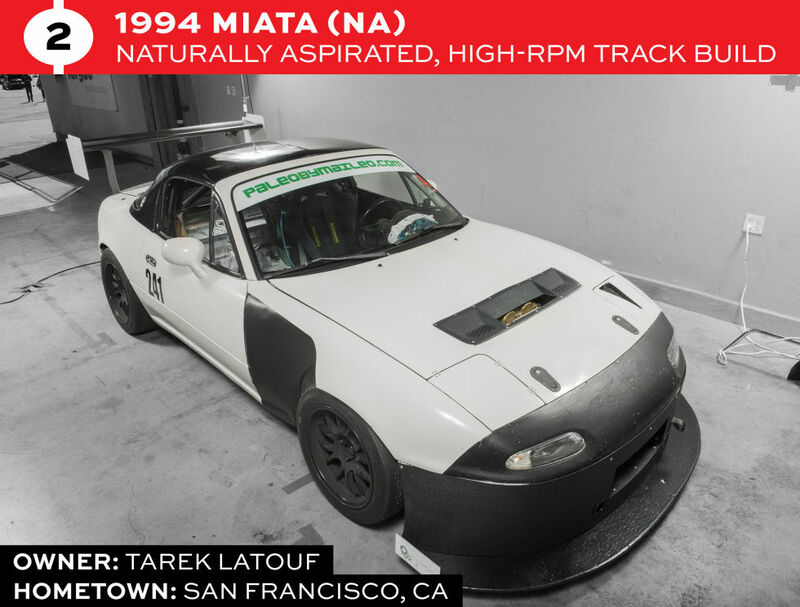 What you'd build if you decided to get into Miatas and wanted the best noise possible. I steal an extra lap in Tarek's Miata because it's just a sweetheart. It reminds me of the SCCA cars I grew up with, just a bright, chewy piece of candy." Also there's another NCR member with a featured car in there. Congrats Ian!